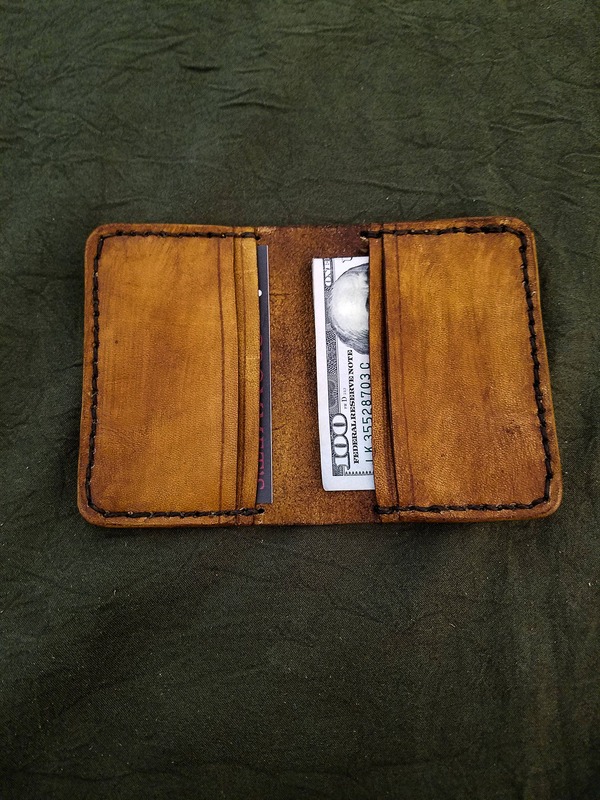 This wallet is named for the young man that purchased the first of this design, and several more afterwards. 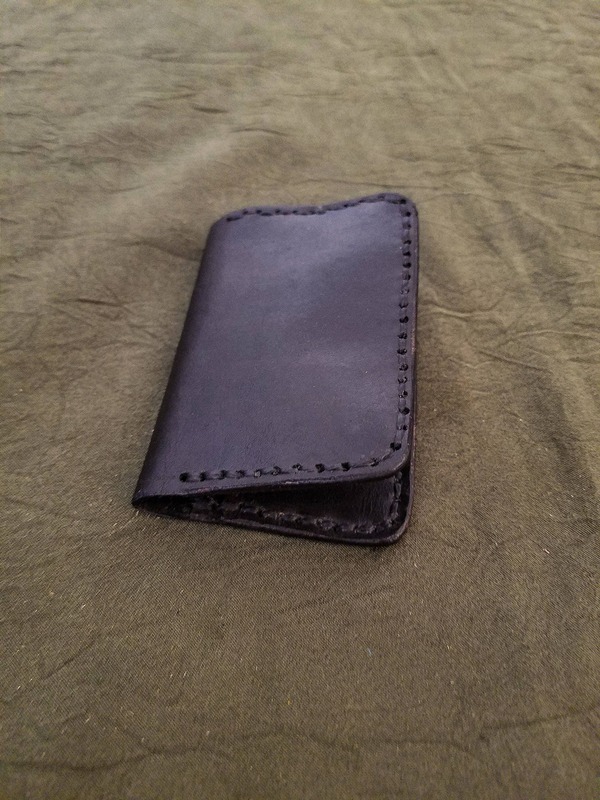 The design is a simple bi-fold with 2 standard size card slots, and 2 large slots that can either hold more cards, cash, or whatever weird stuff you like to keep in your wallet, that's none of my business. 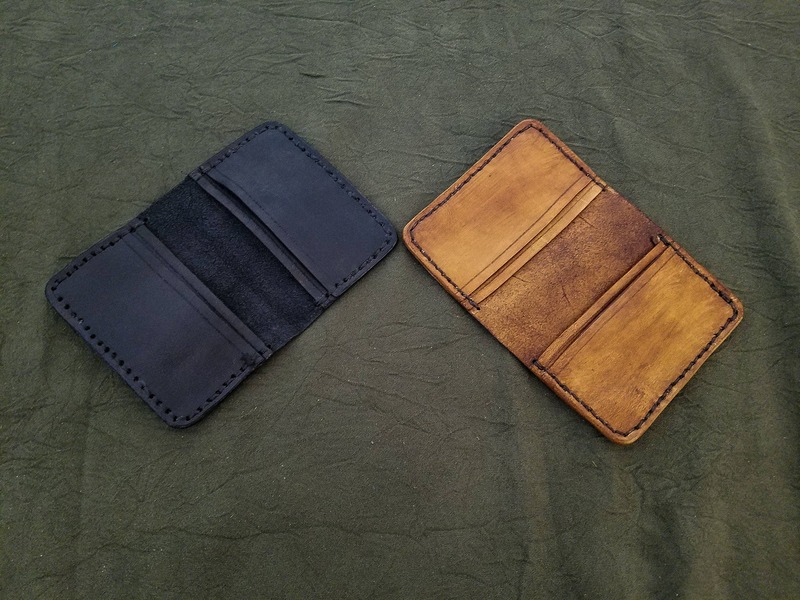 Each wallet is made of 2-3 ounce vegetable tanned cowhide which can be dyed in a number of different colors, and is hand stitched together with high tensile polyester thread in several different color options. 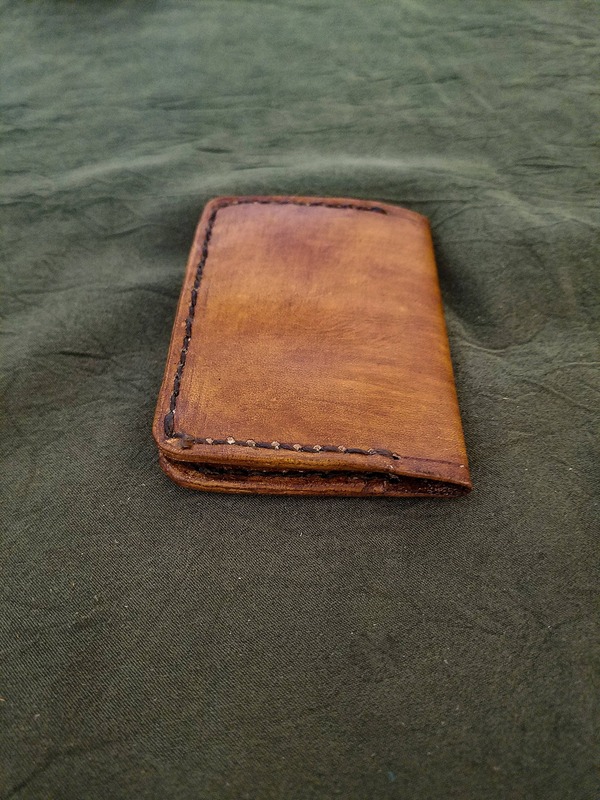 You now have the option of higher end leathers including Hermann Oak bridle leather and Horween Chromexel. 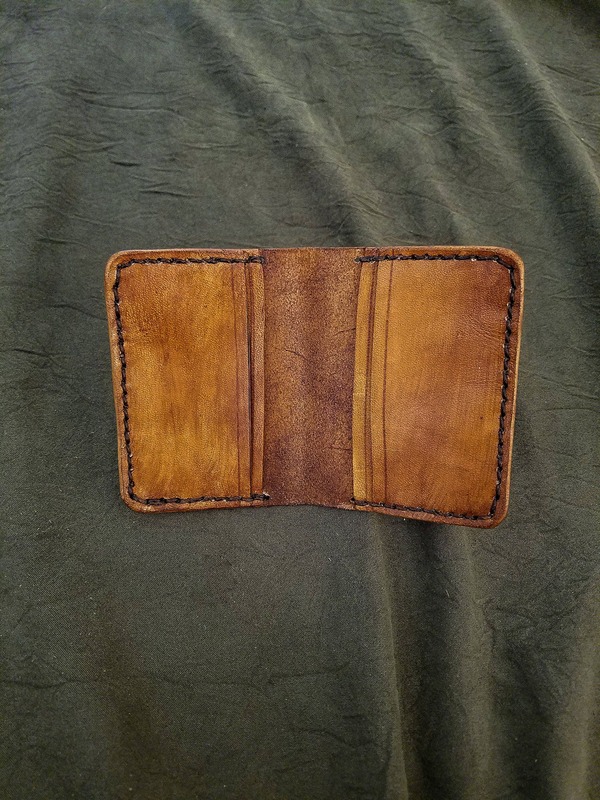 Customization is available, message me for details.